BOLD Office Solutions offers virtually any style of seating to provide your employees and guests with a comfortable seat with offerings ranging from executive and task seating, to more specialized needs such as seating for medical and call center environments. Comfortable seating can make all the difference in the performance of your workforce as well as the enjoyment of your guests. BOLD Office Solutions will guide you through the appropriate selection to meet your ergonomic and functional needs while keeping your budget in mind. We provide expertise in identifying your needs and priorities and applying the correct seating answer to satisfy those requirements. We will also assist in the training of your workforce in the proper use and fine-tuning of their seating, allowing them to work in the healthiest and most productive manner possible. 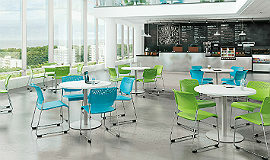 Our seating options provide you with the ultimate in function and design to fit any of your business needs. 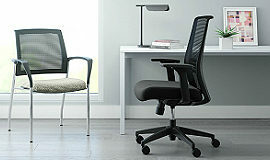 Ergonomic and Task Everyday chairs to meet all of your needs. All of the ergonomic and lumbar support you need with the style you want. 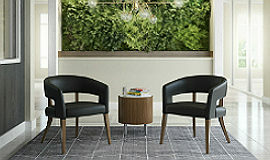 Guest and Side Whatever your office style, complement it with stylish and comfortable guest and side chairs. Options available include everything from contemporary to traditional. Executive and Conference Accentuate your meeting and office spaces with comfort and style. Many options to meet the needs of private offices and board rooms. 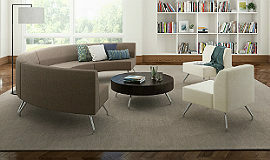 Lounge and Reception Invite visitors into your office with welcoming lounge and reception furniture. Flexible pieces allow for several different reconfigurations. Dining and Breakroom Easy to clean and rearrange as well as many stacking options to save space when not in use. 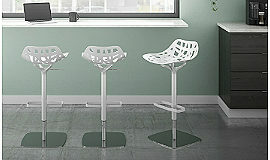 Stools Wide variety of finishes, materials, and styles available in both cafe and bar heights.